Every nine minutes, an underground utility is damaged because someone failed to have them properly located and marked before digging. It’s an eye-popping statistic—especially since each of these damages has the potential for delays, fines, injuries and impacts to communities and the environment. Thankfully, more and more people are becoming familiar with the easiest way to avoid those: 811, the national “Call Before You Dig” number. But there’s still work to be done. Many people know that a fast, free call to 811 is all it takes to have underground utilities marked at a job site, but not everyone may be aware of some of the details that can make the difference between a safe dig and striking a utility. While calling 811 will allow you to have public utilities located and marked, you must contact a for-profit locator to have private lines identified. These may include utilities like a water line from a well, an electric line to a shed or even a natural gas line from the street to your meter. You must wait up to three business days after calling for utility companies to locate and mark their lines. Every company with a buried line near your work site should either locate and mark it, or provide you with an “all clear” notification. Even if buried utilities are marked, excavation equipment can still pose a risk. If you are digging over or very close to one of these lines, you may be required to use a shovel to hand-dig. The representatives who locate and mark the utility can provide guidance if this is necessary. Many companies, including Phillips 66, require that a representative be on site when work is taking place close to the utility. These representatives monitor the excavation and provide guidance as needed to see that the line is protected during the project. Markings are only valid for a certain amount of time, which varies by state. And in most states, markings expire immediately if they are no longer visible. State laws require you to have utilities located again if you need to dig and the markings are not visible or have expired. 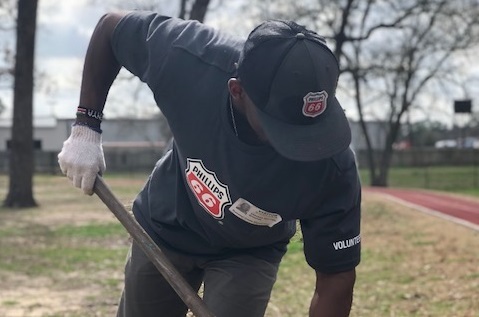 Calling 811 and following the guidelines above can reduce your chances of damaging an underground utility to less than one percent, according to industry studies—making this process one of the best ways to protect yourself and those around you while digging. For more information, please visit phillips66pipeline.com or call811.com.